We hope you are well and keeping warm. We thought we’d send you this quick update on our progress before the busyness of December starts. 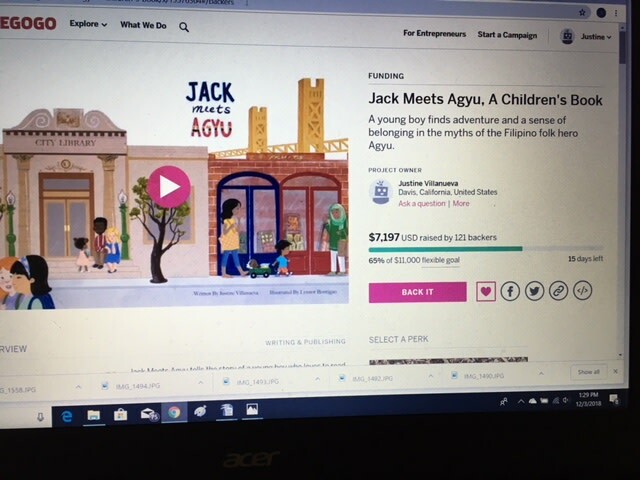 The Jack Meets Agyu creative team is chugging along. We have now finished and colored all the interior pages. Our graphic designer is starting to pull the text and illustrations together. Our collaborators at Bukidnon State University are working on the translations. The book is coming along beautifully and, so far, we are on schedule. We are also getting ready to ship the Mama, Mama book (with buttons) to those who have chosen to receive this book as part of their perk. As stated, we will be sending the book out by December 10. Please let us know if you’ve had a change of address or if you have other questions/requests/etc. 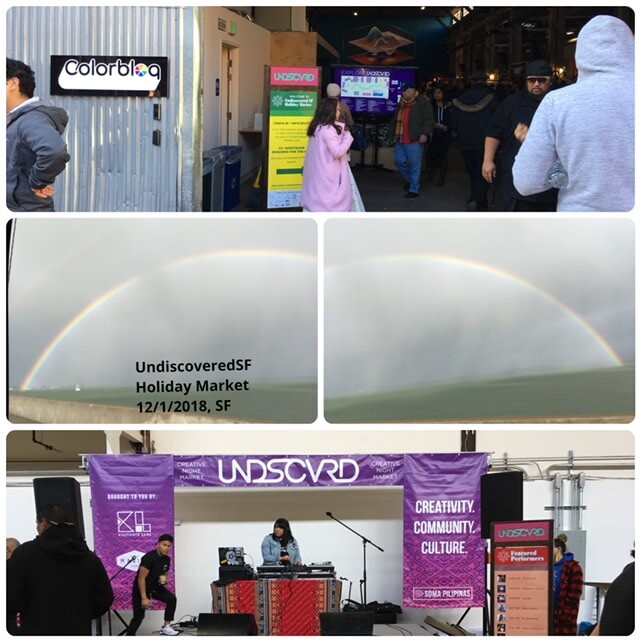 We were at the UndiscoveredSF Market this past Saturday, December 1st, for a holiday inspired palengke (outdoor market). Although it was in a smaller venue and it rained in the morning (there were gorgeous rainbows, including a full arc! ), the event still drew a good number of people. It was great to see some of you again and also meet new people who were excited about our books. 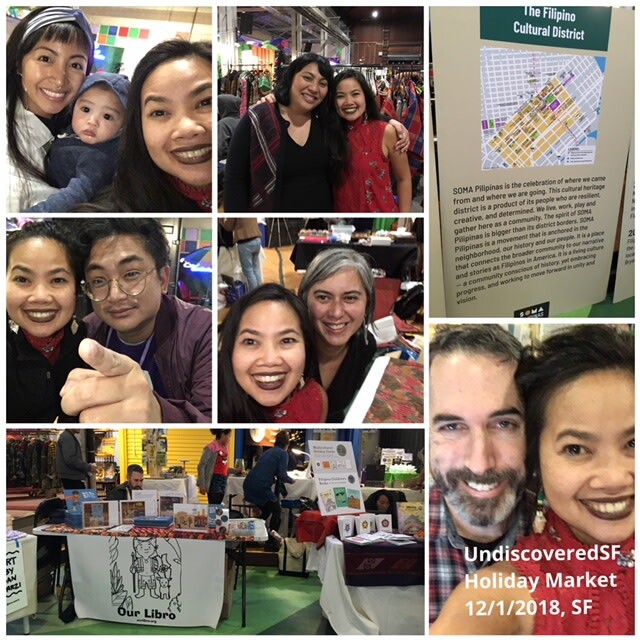 We raised more money for the book campaign and also got to kick it with many other vendors, including our fellow bookmakers, Sari-Sari Press and Bridge+Delta Publishing who share with us similar goals of making Fil-Am children’s books. 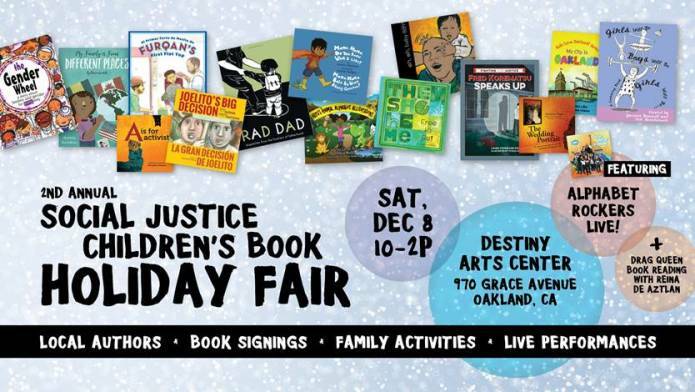 This coming Saturday, we will be at the 2nd Annual Social Justice Children’s Book Holiday Fair in Oakland. If you’re looking for local children’s books for these current times, this is the event to attend. Bring your kids. Meet your favorite authors. Enjoy performances and kids activities. Get your holiday shopping done. All in one place! Maraming Salamat! Till next update!